Unusual, yet classical: a serene face in cream, carved mammoth, hair of black diamonds and 18 carat yellow gold bow at the neck. 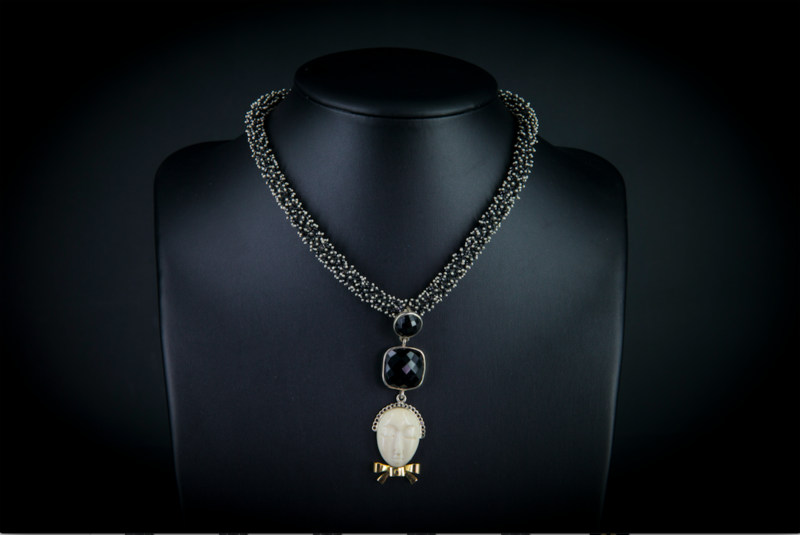 The face is suspended from two silver set black spinels and an ornate rasi hand-worked black spinel and silver necklet. LENGTH: 45.8cm x 18 inches.